Field trip time! 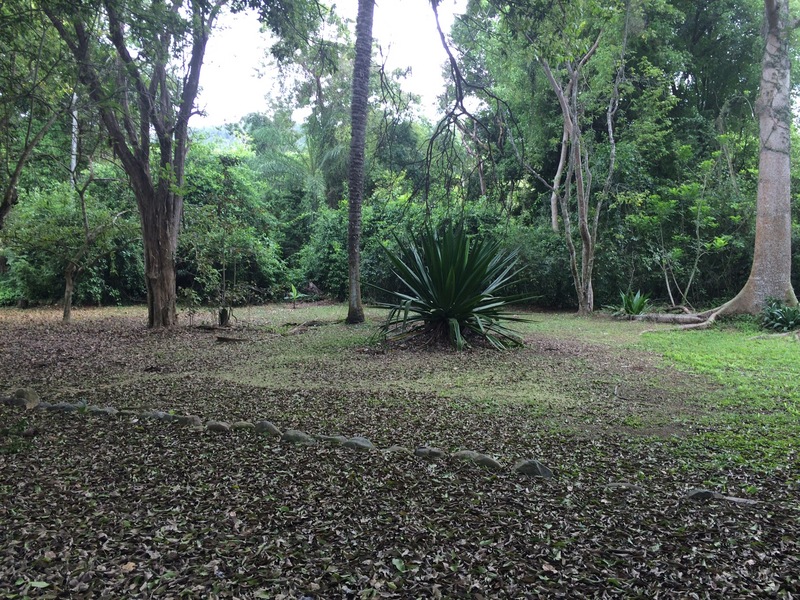 The school was taking a trip to Centro Ceremonial Indígena de Tibes in Ponce last spring. It’s over an hour away! 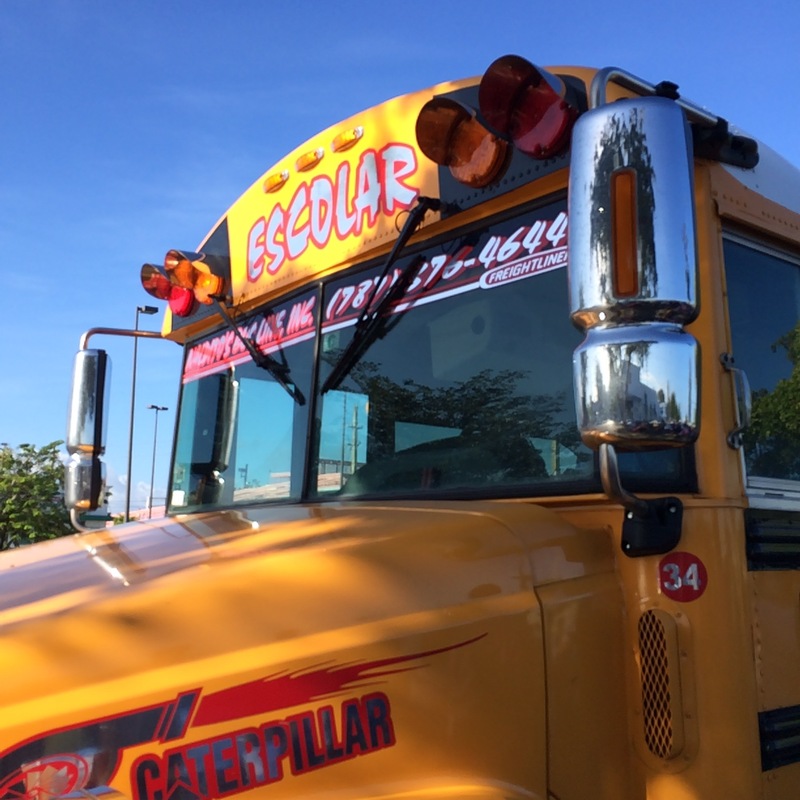 The school offered a school bus. But…people are crazy drivers here. No seat belts! What if the driver is reckless? What if we hit a giant pothole and tumble down a cliff? What if? what if? I wrestled with if I should drive separately. In the end, we went in the guagua. (Bus). I said a few Hail Mary’s. Literally. The park is nice. The tour was interesting, though not necessarily for 4 year olds. We did walk through plazas that were 3000 years old. wait, will i be on Google maps now? 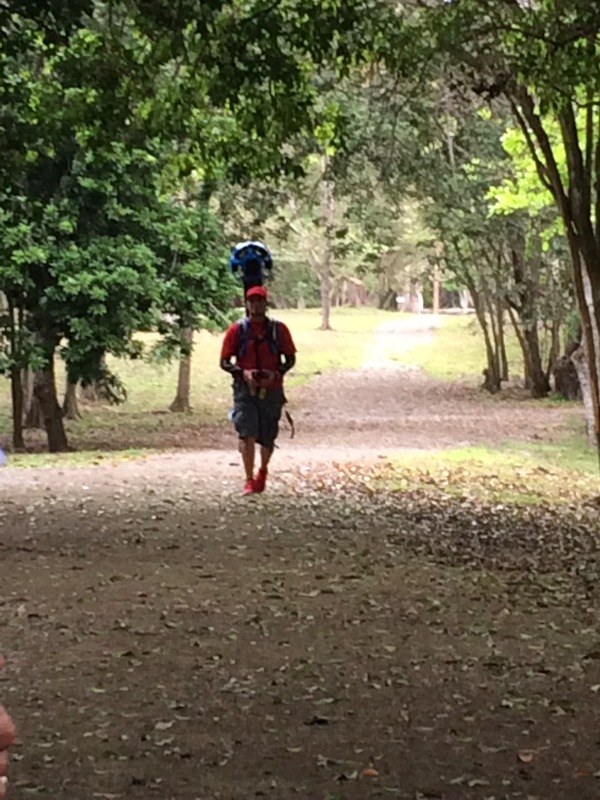 While we were listening to the tourguide, a dude with a Google imaging backpack trekked by. I checked…my image is not on Google. Bummer. This bush was used to make canoes. or baskets. or something. My Spanish is getting better and better, but when I’m unfamiliar with the vocabulary, contextual hints only help me so much. I’ll admit, most of the time I was lost. But my fellow parents filled me in with the most interesting tidbits. The bus was safe. I’m sure my prayers helped. The place is well done. Cute little museum with nice facilities. I’m glad we took the bus. 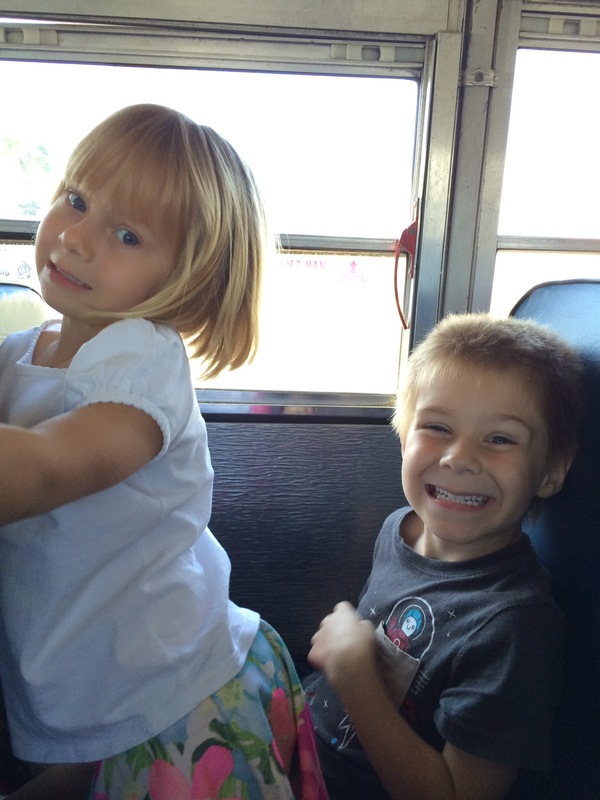 It not only gave the kids their first school bus opportunity but I could chat with the other parents. I was the only Americana but I spoke with a Spaniard, a Colombian, and a Frenchman. Of course, plenty of Puerto Ricans too. 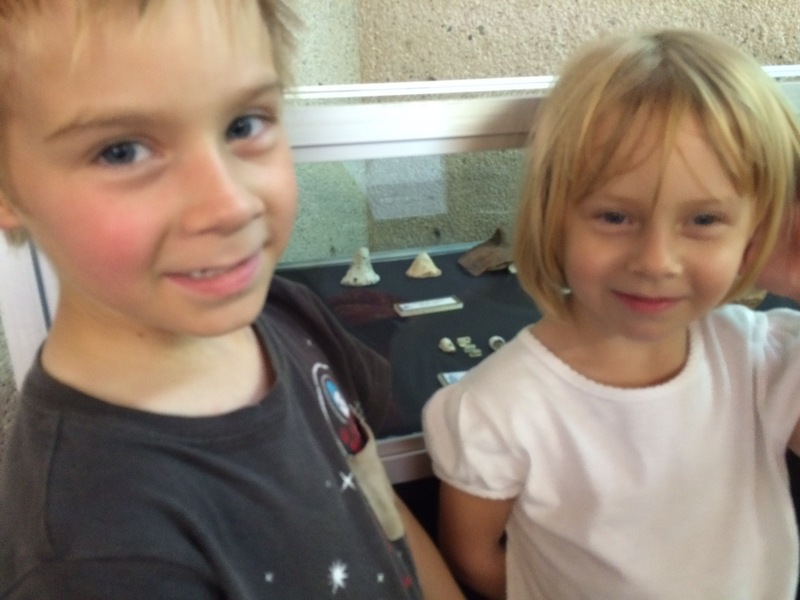 Posing in front of artifacts in the little museum. My sister, Dr. Archeologist, would love this place. 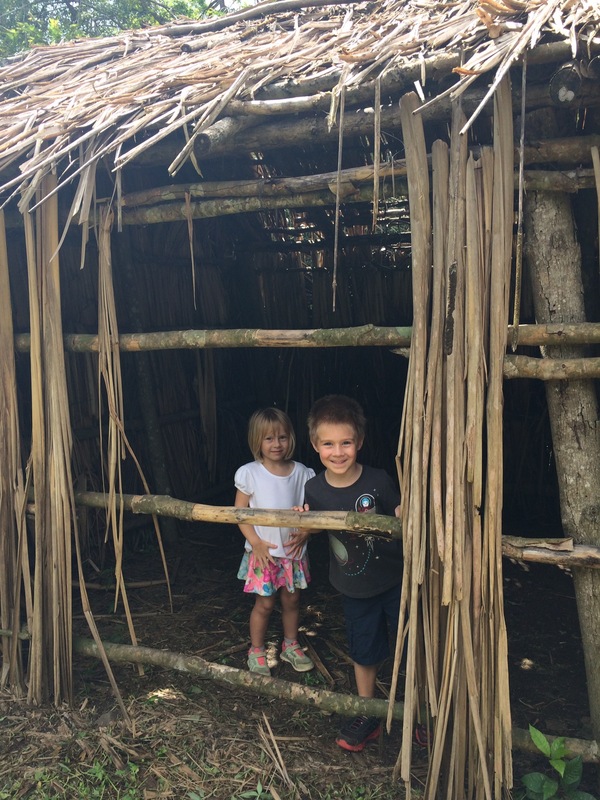 This entry was posted in school and tagged field trip, guagua, school, taino history. Bookmark the permalink.